March's event has an updated time slot. Trainers, the next Pokemon Go Community Day event is almost here. On Saturday, March 23 from 3 p.m. to 6 p.m. local time, players will be able to encounter more Treecko than normal in the wild. This is the first Community Day event that will take place at the same local time for all players. Previous Community Day events took place at different times around the world based on time zones (for instance, from 11 a.m. to 2 p.m. Pacific or 2 p.m. to 5 p.m. Eastern). For March 2019, the event will take place from 3 p.m. to 6 p.m. wherever players are. Treecko is a Grass-type Pokemon. It was one of the three starting creatures (along with Mudkip and Torchic) players could choose from in Pokemon Ruby and Sapphire, which were released on Game Boy Advance in North America in 2003. Treecko has two evolutions -- Grovyle and Sceptile. In Pokemon Go, players can evolve Treecko into Grovyle using 25 Treecko Candy, and Grovyle into Sceptile using 100 Treecko candy. Any Grovyle that’s evolved into Sceptile during Saturday’s Community Day event (and up to one hour afterward) will learn an exclusive battle move: Frenzy Plant. During this event, Lure Modules that are placed on PokeStops will last for three hours, rather than the standard 30 minutes, and Eggs will hatch after walking a fourth of the normal required walking distance if they’re placed into an incubator during this event window. As a refresher, when a Lure Module is placed on a PokeStop, wild Pokemon will be attracted to that location for a limited amount of time. 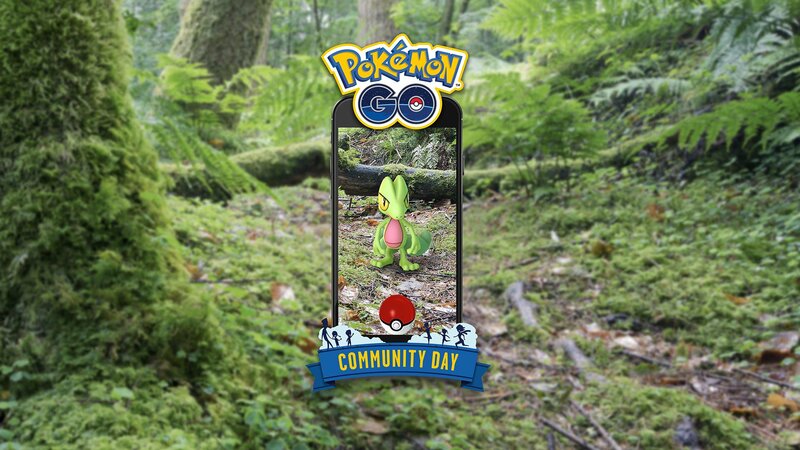 Finally, we expect a Shiny version of Treecko will appear in the wild on Pokemon Go Community Day. If you’re a Shiny Pokemon collector, make sure you mark your calendar so you don’t miss out on this weekend’s event!